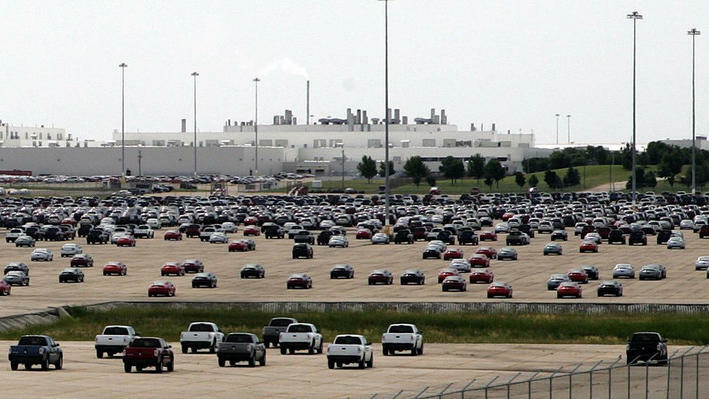 Mitsubishi Motors will stop making vehicles at its Normal, Ill., plant and will try to sell the facility, only a few years after the state tried to rescue the plant from closing. Mitsubishi is the sixth-biggest employer in the Bloomington-Normal area, with 1,280 full-time employees, according to the website for the Bloomington-Normal Economic Development Council. Mitsubishi is closing its plant despite years of local and state economic subsidies. The automaker’s decision is ammunition to tax-incentive critics who say subsidies can’t prevent a plant from leaving. The plant opened in 1988, lured by $249 million in state and local subsidies. It was originally a joint venture between Mitsubishi Motors and Chrysler. Production began with sport coupes, but soon a second shift and four-door sedans were added. About four years ago, after years of declining sales, Mitsubishi announced it would phase out production by 2014. In response, the state pledged nearly $30 million in tax incentives over 10 years. In exchange, the automaker pledged to invest $45 million to produce the Outlander Sport crossover and retain 1,200 jobs. The state has since doled out tax credit certificates, similar to a voucher, worth about $7.2 million and hundreds of thousands of dollars in training funds. Asked Friday if the state would recoup the incentives, the state’s Department of Commerce and Economic Opportunity said it would be “premature” to comment. Nikkei said Mitsubishi would be the first major Japanese automaker to end production in both the U.S. and Europe. The company has built a plant in Thailand, bought one from Ford in the Philippines and is building one in Indonesia. The Normal plant is the only Japanese-owned U.S. auto factory whose hourly workers are represented by the UAW, Reuters said.